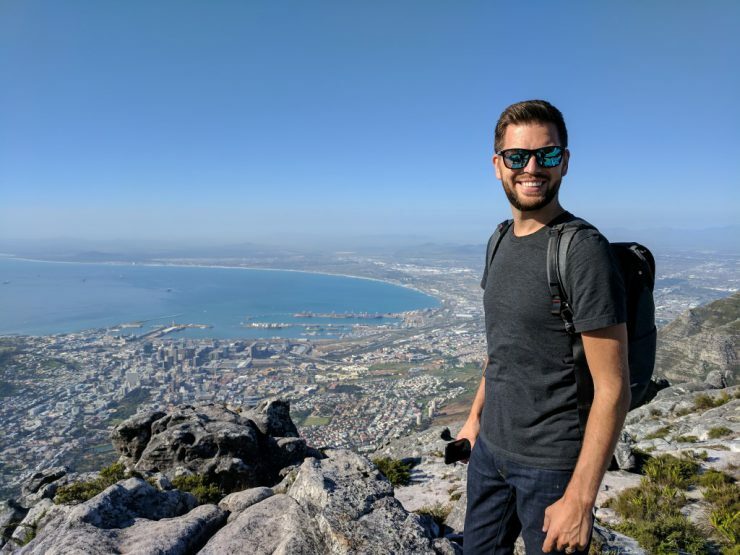 Last September Evan had the opportunity to travel to Cape Town, South Africa for work, and I couldn’t pass up the chance to go with him. 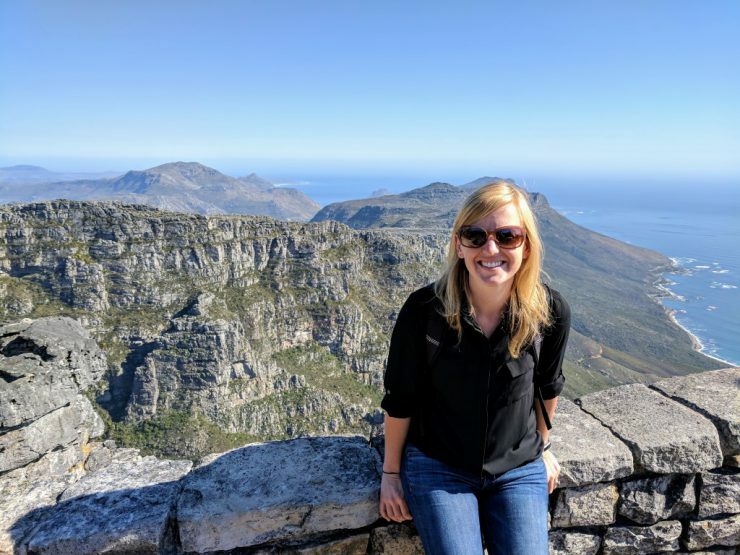 Instead of taking two weeks of vacation time (and because one of my projects was in an intense construction phase), I convinced my supervisor to let me take work with me and work remotely from my then company’s local office in Cape Town. I know, not ideal to be working while visiting a new continent, but I was just happy I could go! 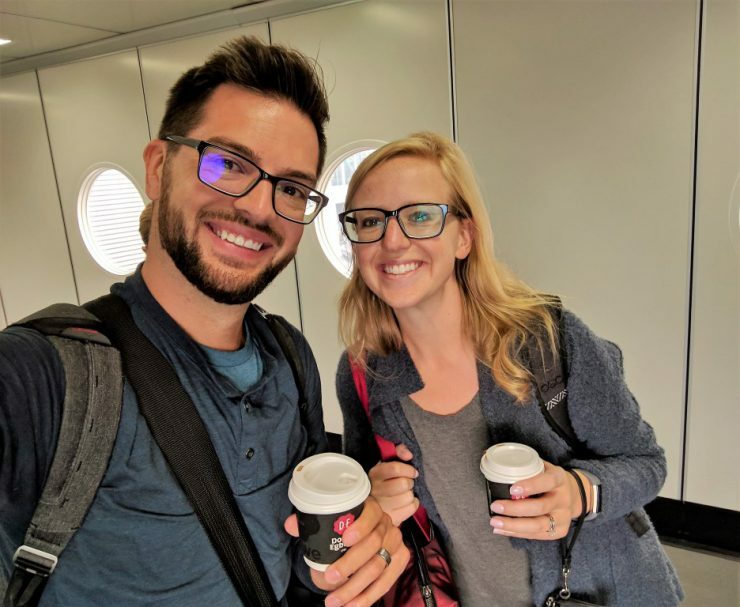 Evan and I packed our bags for two weeks and left on a Sunday afternoon flight, bracing ourselves for a very long day of flying. We flew nonstop to Amsterdam and arrived early Monday morning local time after about 11 hours in the air. 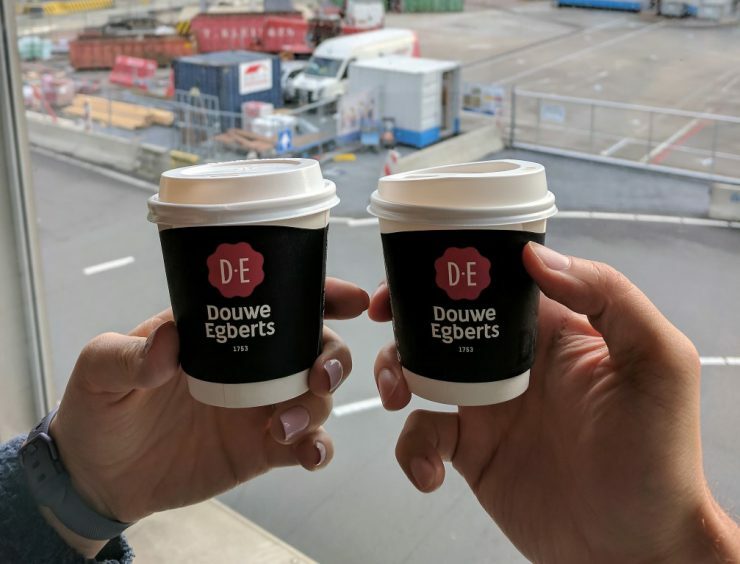 We had a brief layover in Amsterdam, and desperate for coffee, stumbled upon the tiniest cappuccinos I’ve ever seen. 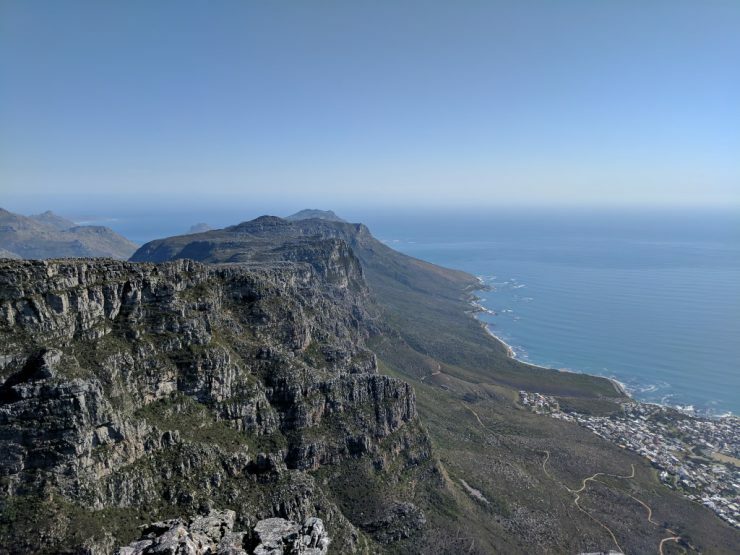 From Amsterdam, we took another 11 hour flight to Cape Town, and arrived Monday evening. After getting through customs, we got an Uber, made our way to the hotel, and immediately crashed. 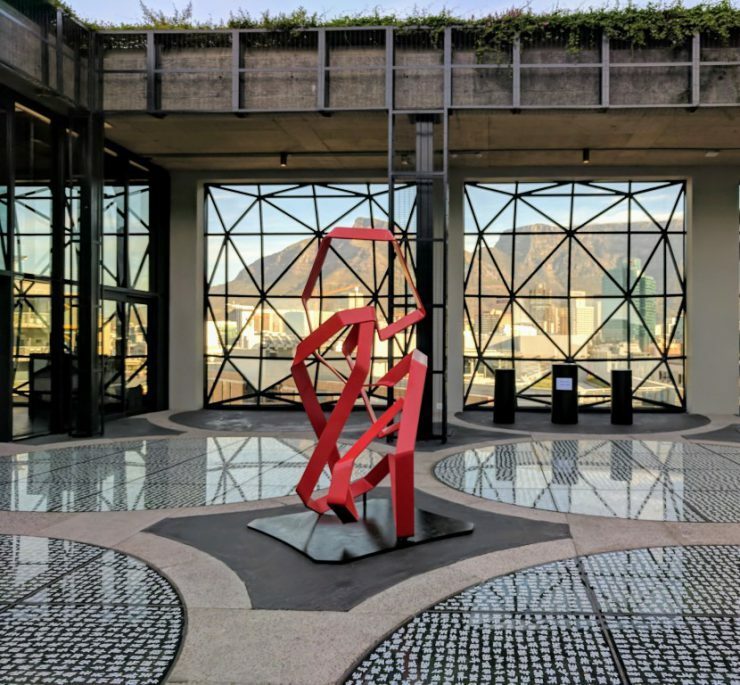 We stayed at the Hilton City Centre for the entirety of our trip, which is fairly close to the waterfront and also a short distance from Amazon’s office. 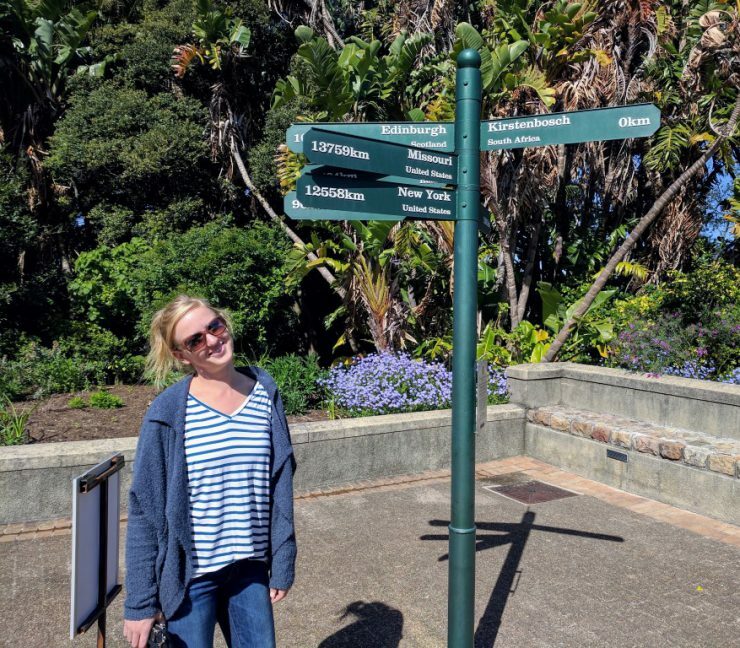 It was definitely walking distance from most places we went within the city, but as a safety precaution, we always took an Uber to and from our destinations. Don’t let me give you the wrong impression though; I didn’t feel unsafe while I was there. But like larger cities, crime can be an issue, and since this was our first time visiting, we were just trying to be extra cautious. 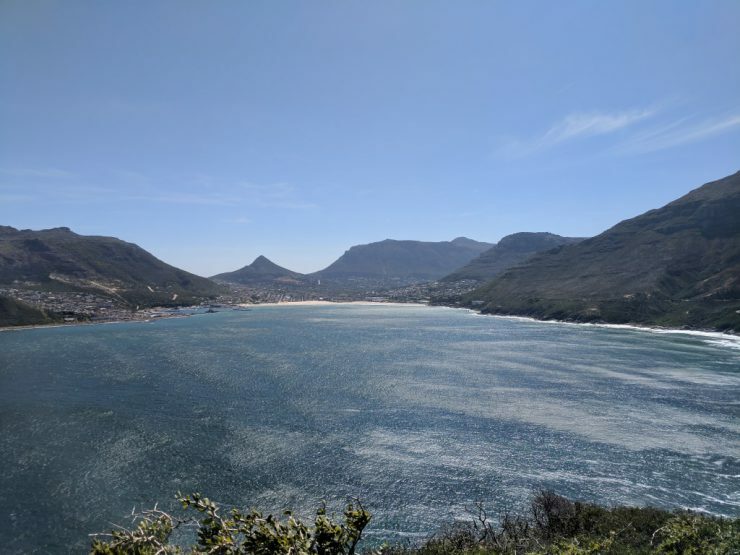 Another reason why taking an Uber was favorable is because the exchange rate between USD and South Africa Rand (ZAR) was about 1:14 while we were there, so everything was very inexpensive. Uber rides within the city were about $2-$3. Evan went into work that first day after a not very restful night of sleep. I’m not sure how he was able to work; I stayed at the hotel and tried to work, but I mainly drank coffee and tried getting adjusted to the time change. 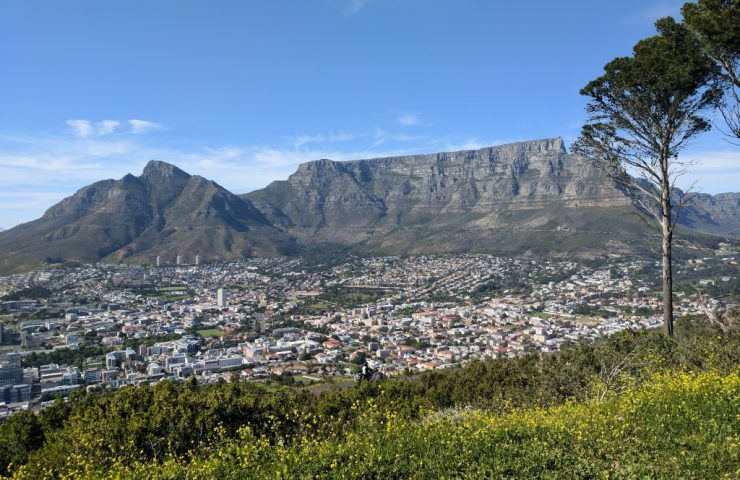 That first day, however, was the first time we got to see Cape Town in daylight and I was so blown away by how beautiful it was. Evan took these two photos from his office, capturing our first couple of glimpses of the unique terrain. Several members of Evan’s team and adjacent teams from Seattle where visiting at the same time, so we all met up for dinner that first night at Societi Bistro. 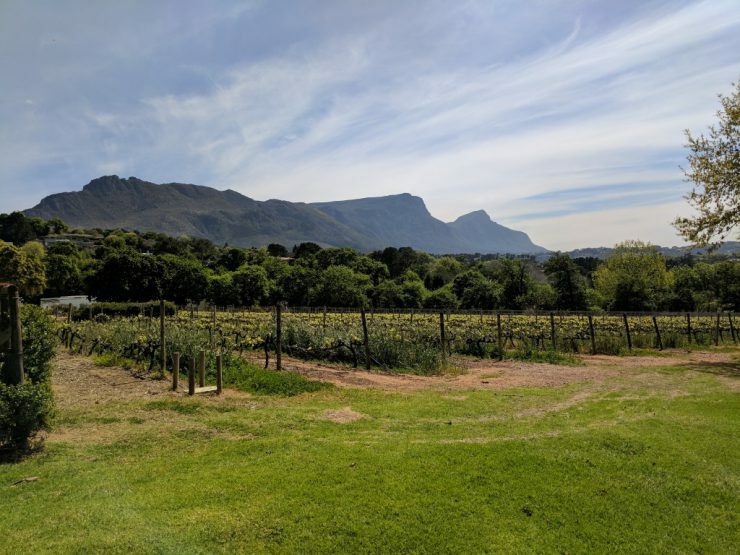 We ordered some amazing pasta and tried South African wine for the first time (and enjoyed how cheap the bottles were). The atmosphere was great and it was the perfect way to end our first full day in this new city. The next day while Evan was at work, I ventured down to the V&A Waterfront, where my then company’s local office is located. 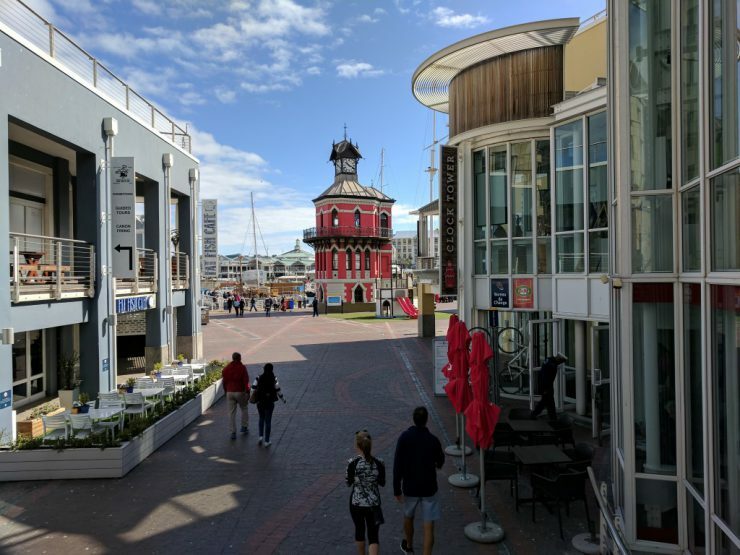 The Waterfront has a ton of restaurants and shops, along with office space, hotels, and a farmer’s market. It was fun to explore some of these places for lunch during the numerous days I was working there. 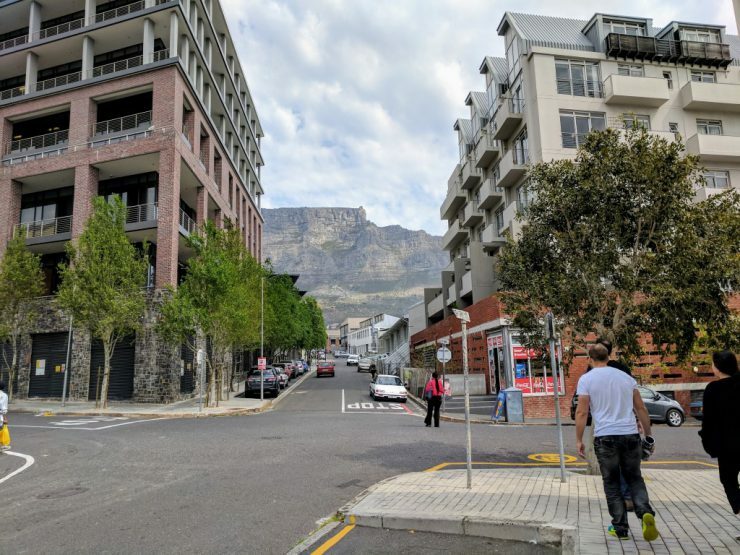 The Arup office in Cape Town is relatively small, only about 25 people, but it was great to meet new people and fun to work from a new space! And the faster network connection was a plus; it made uploading shop drawing reviews to the Seattle project folders much less painful. And you can’t beat the view of the water from their very large windows. 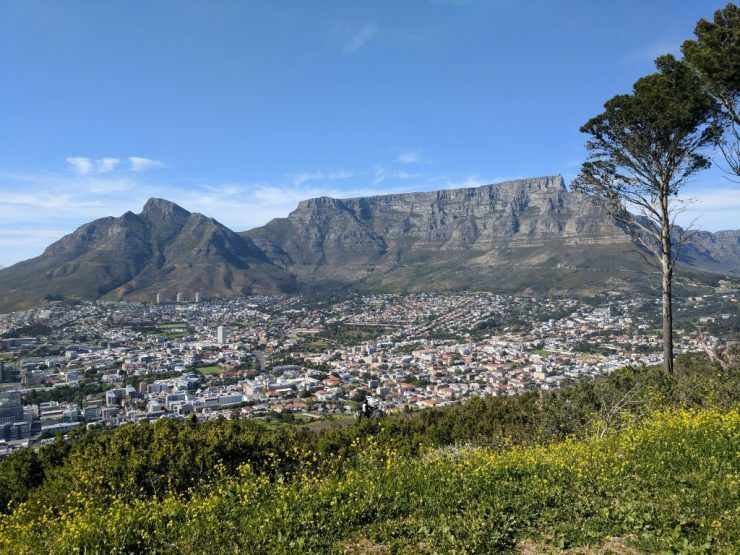 That afternoon, I met up with Evan and his coworkers, and we went to Table Mountain. With the warm weather and clear skies, it was the perfect day for it. 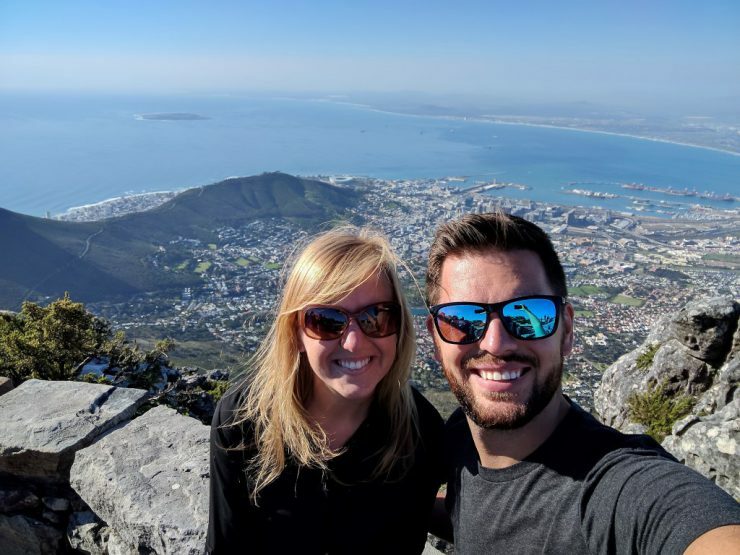 We rode the gondola up to the top of the mountain and took in some amazing views of the city. The top of the mountain was much bigger than I expected. We wandered around for a couple of hours, taking in new views everywhere we went. We could have stayed much longer though! 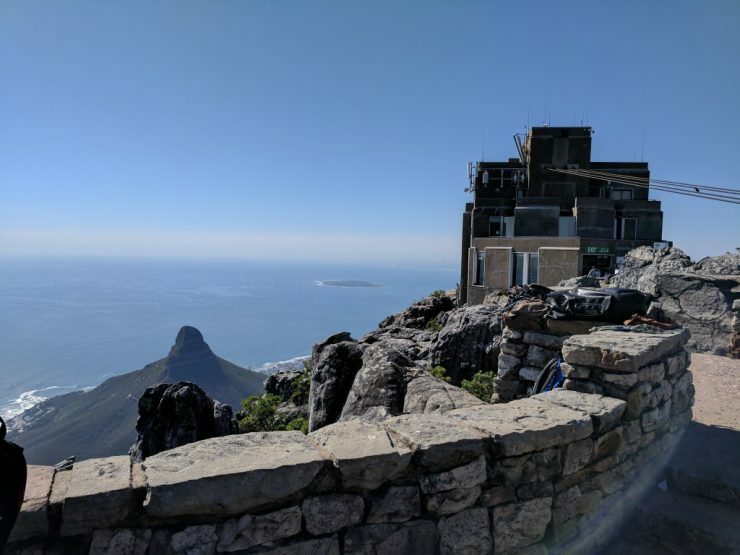 If you ever find yourself in Cape Town, I’d definitely recommend checking out Table Mountain! 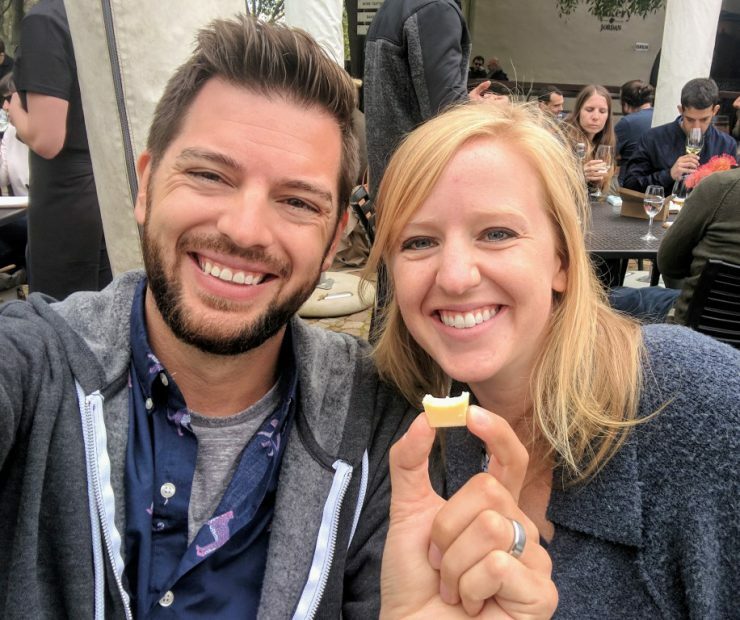 During the rest of the week, both Evan and I worked during the day, then we met up with the large group of Amazonians for dinners throughout the city. 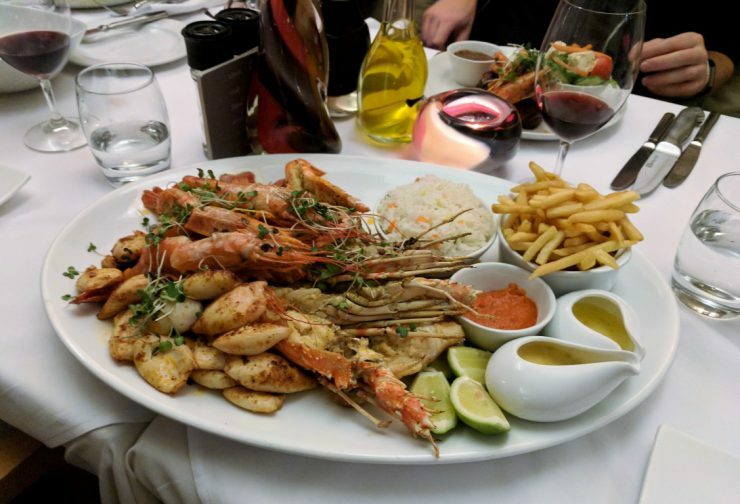 One evening we went to a restaurant called Paranga, located right on the beach in Camps Bay. 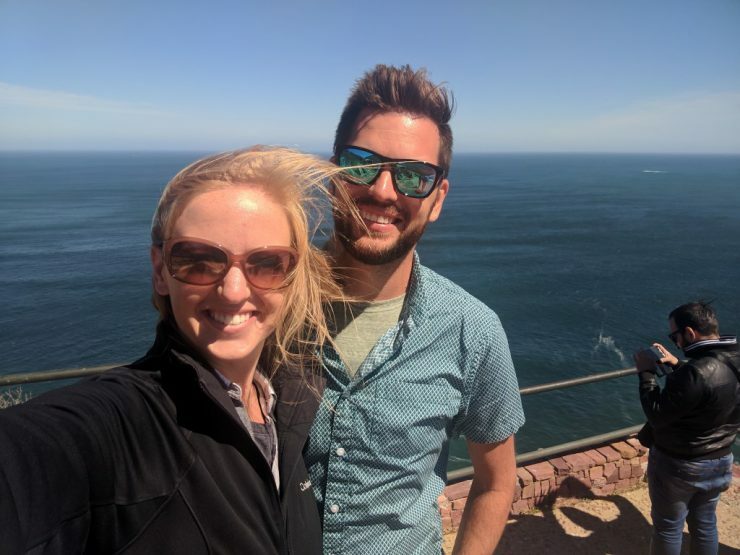 Unfortunately, it was dark by the time we arrived, so we missed out on some pretty awesome views, but the food and wine were great! Evan and I split a seafood platter (which was amazing), and our entire table shared a few bottles of Pinotage. 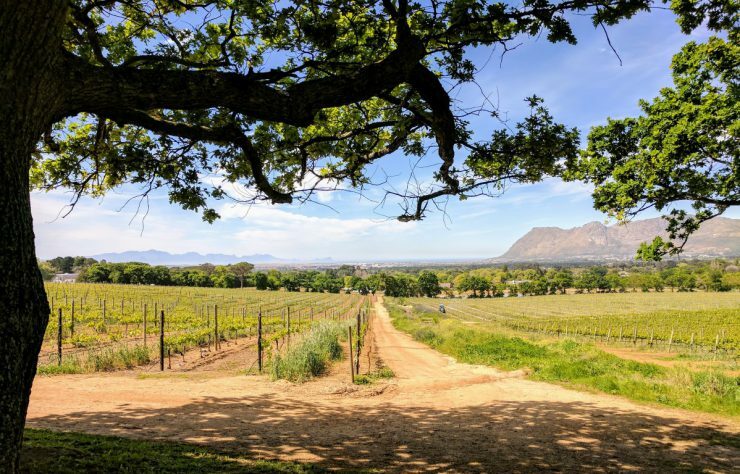 Pinotage is South Africa’s signature red wine grape varietal, a cross between Pinot Noir and Cinsault (previously known as Hermitage). 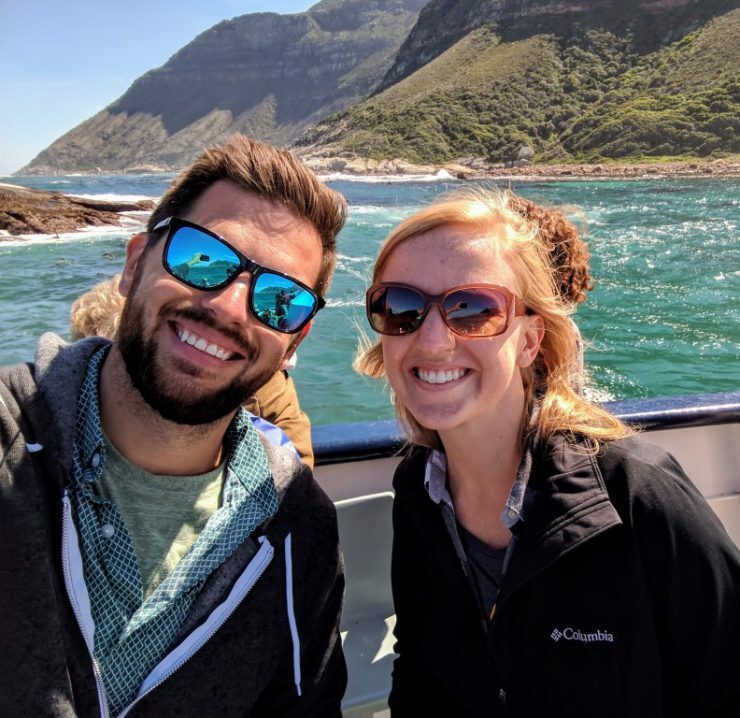 Evan and I had never heard of Pinotage until we visited Cape Town, but as soon as we tried it, we loved it. It made an appearance at pretty much every dinner we had while we were visiting. Plus, we managed to purchase several bottles and bring them back with us. 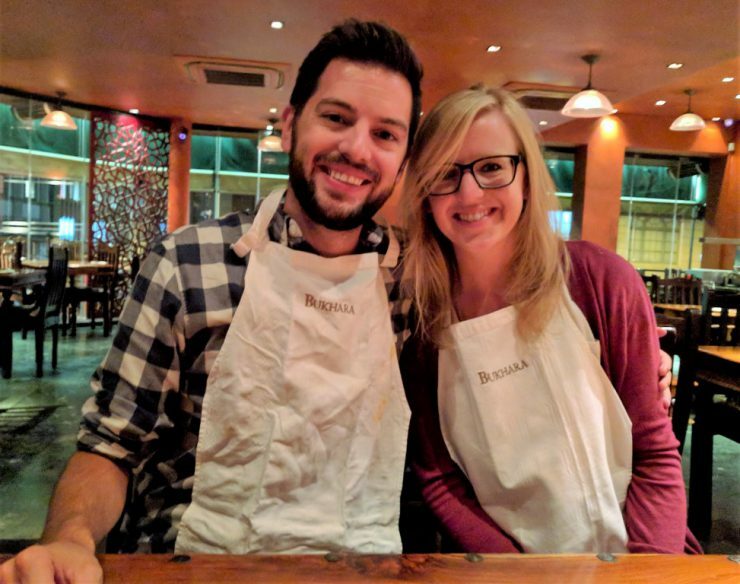 Another night, we went to Bukhara, an Indian restaurant that gave you bibs during dinner. I would never have guessed that Cape Town would have some of the best Indian food I’d eat, but wow it was good. And of course, we ordered some bottles of Pinotage. On Saturday, we took advantage of an entire free day and explored the area. 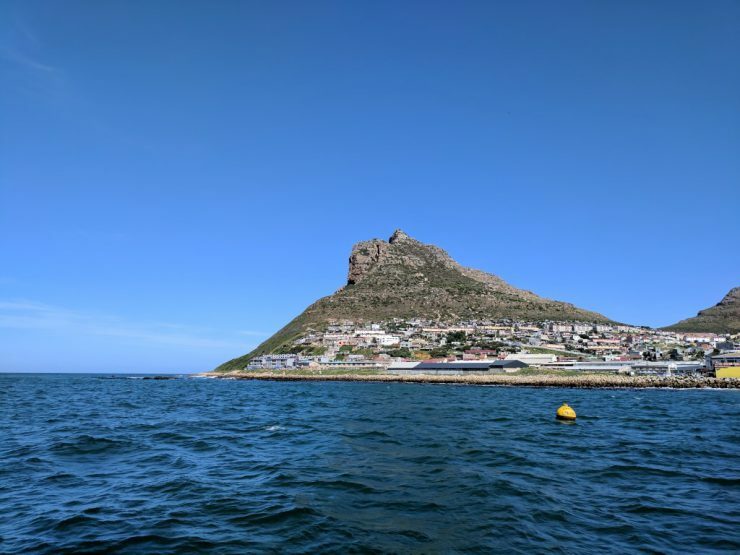 We first stopped at Signal Hill, and got a great view of Table Mountain, Lion’s Head, and the water. 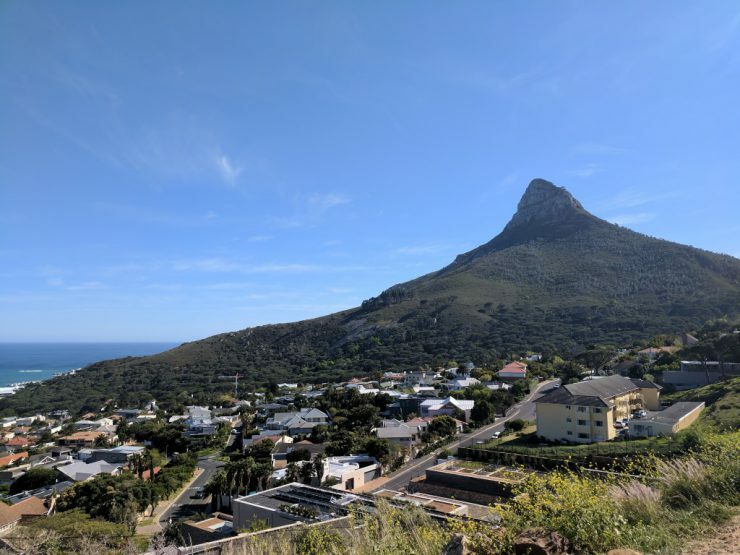 The photo below is of Lion’s Head. We were originally planning on hiking up to the top, but I chickened out. In retrospect, I wish I would have done it, but we’ll just have to do it next time! 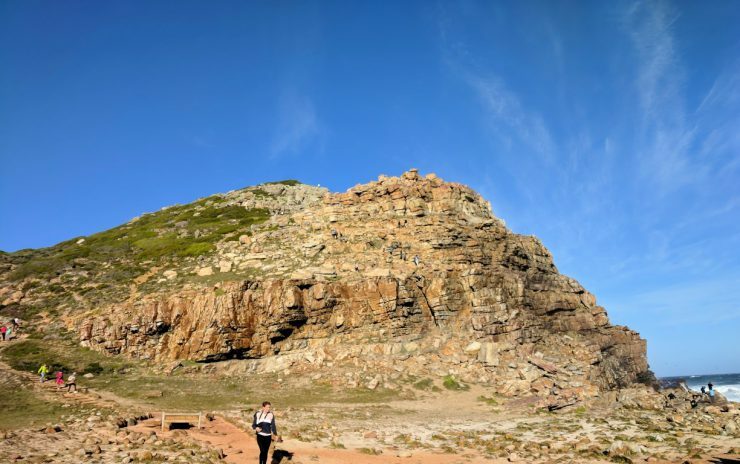 After our stop at Signal Hill, we drove south along the coast, stopping numerous times for some great photos. It was so windy while we were there! 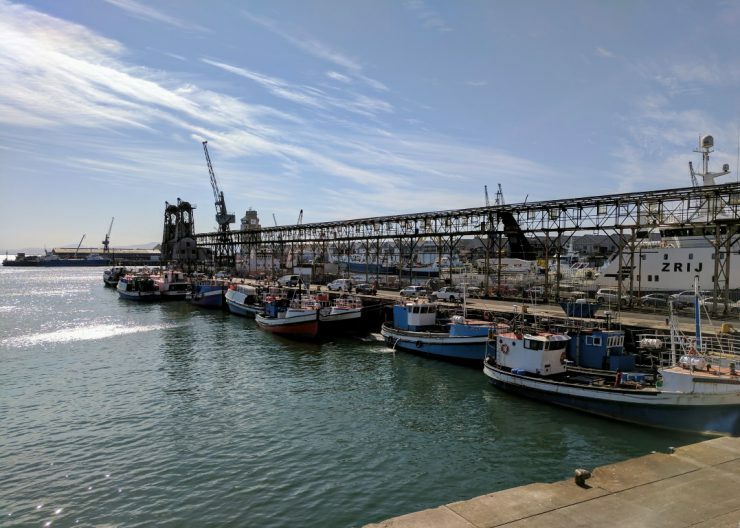 We arrived in Simon’s Town, where we took a ferry ride to see a bunch of seals. It was very windy and choppy, but a fun little adventure. 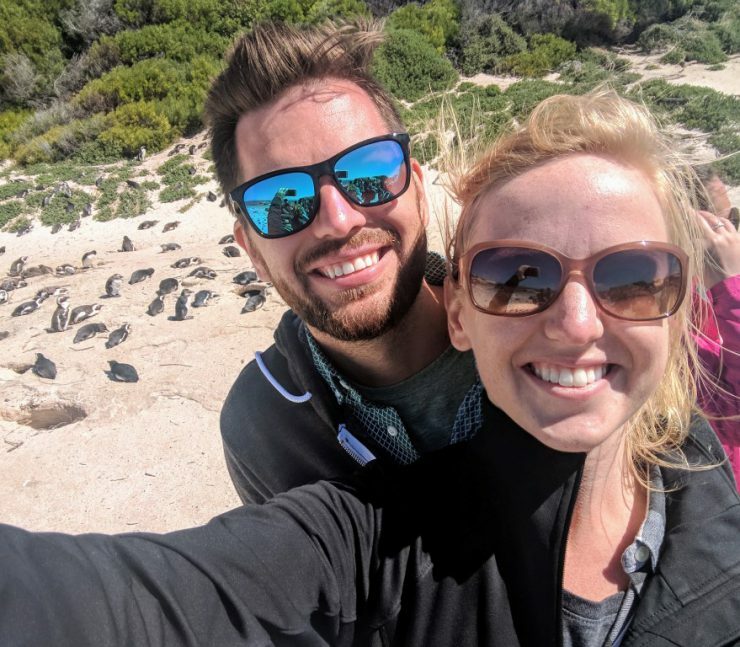 You can just barely see the seals in the background of this first picture. 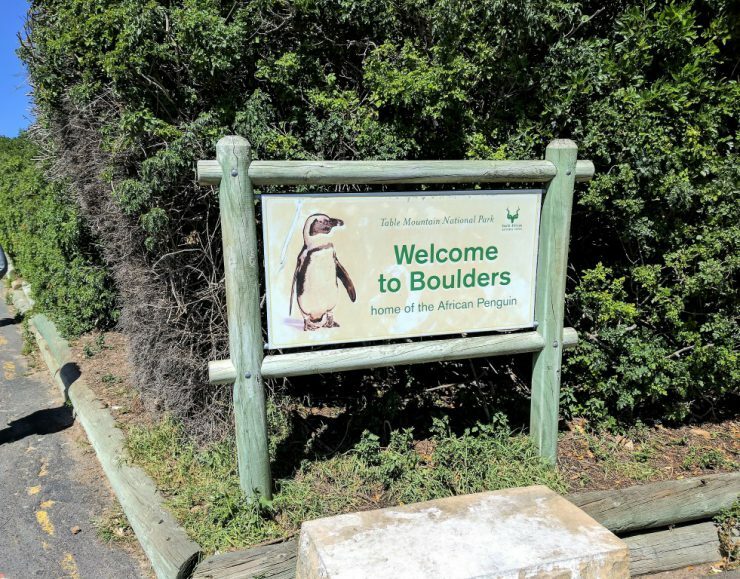 Our next stop was at Boulder’s Beach, home of the African penguins. 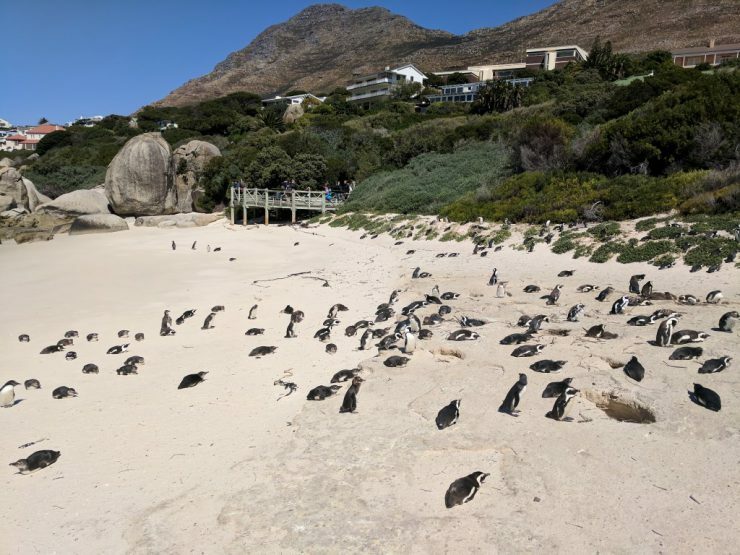 I’m not going to lie, I was super excited to see penguins for the first time in my life. There were sooo many of them and they were so ridiculously cute and little! 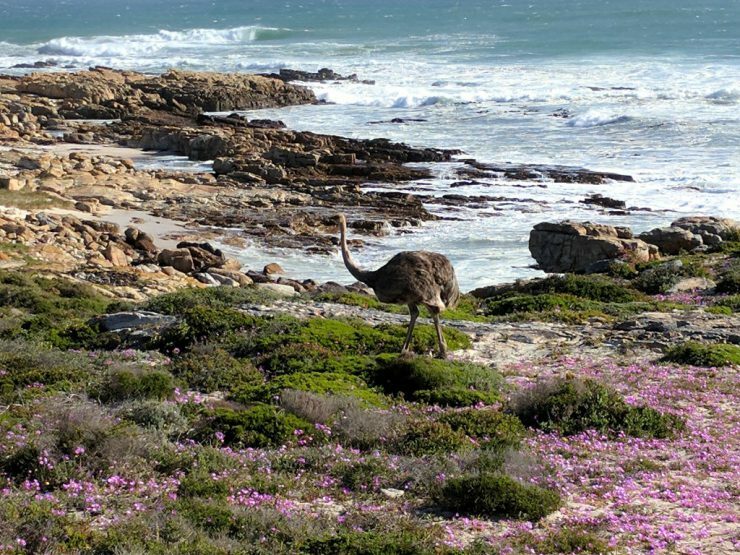 We continued our journey along the coast, down to the Cape of Good Hope, stopping to see an ostrich (another first for me). 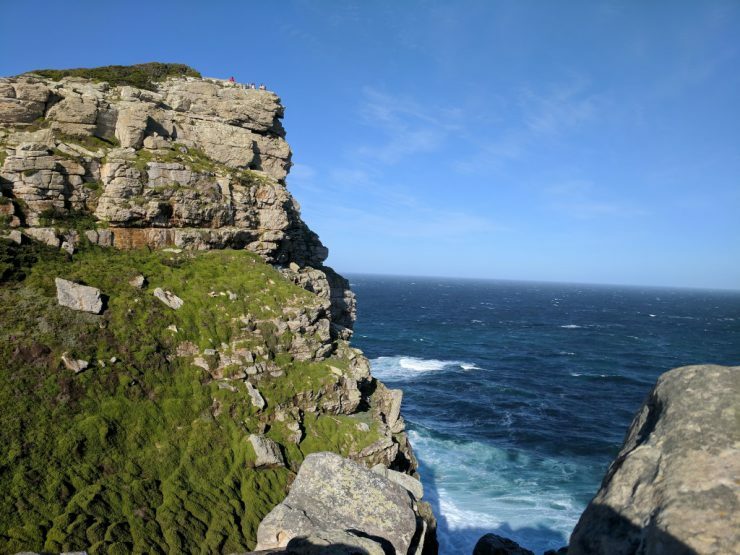 Once we arrived at the cape of good hope, we took some photos at the landmark sign, then climbed to the top of this small hill to get a beautiful view of the ocean to the south and to the west. 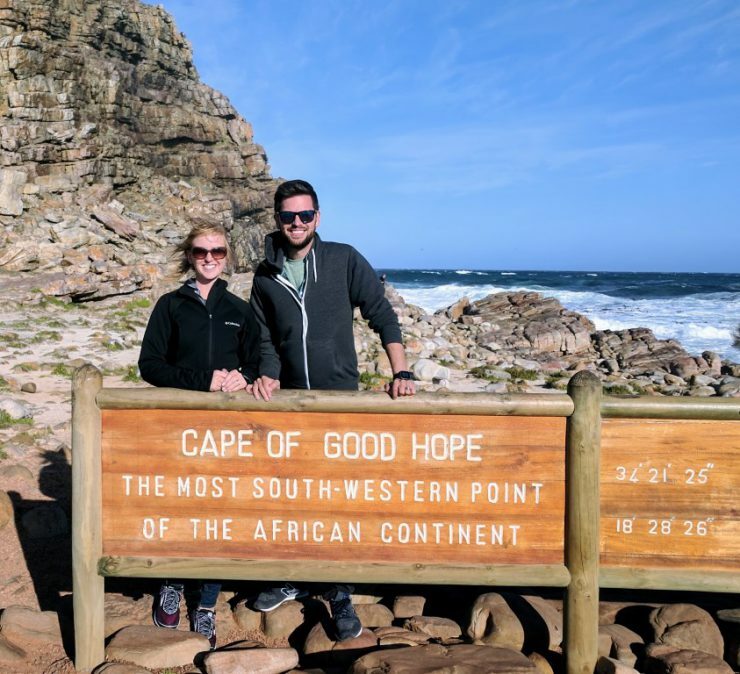 We were officially at the most south-western point of Africa. Despite being very windy and chilly, we had a great time. It was a long day of sightseeing, but it was so worth it! 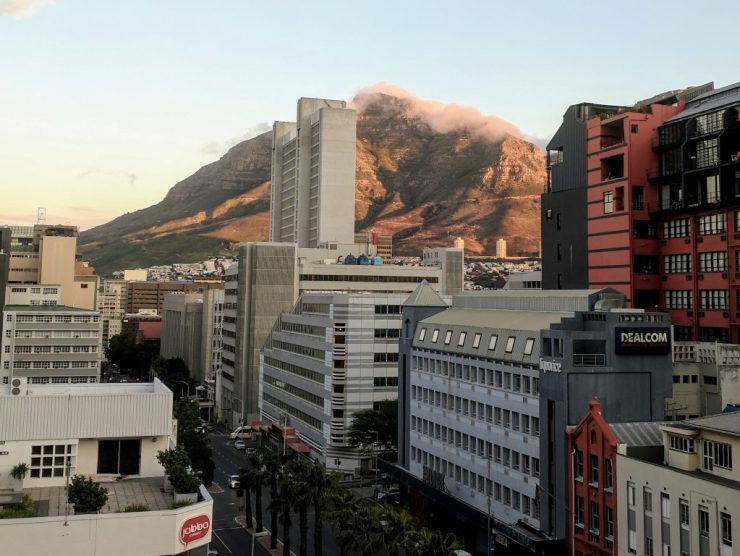 We ventured back to Cape Town, then grabbed some dinner with the whole group in town. 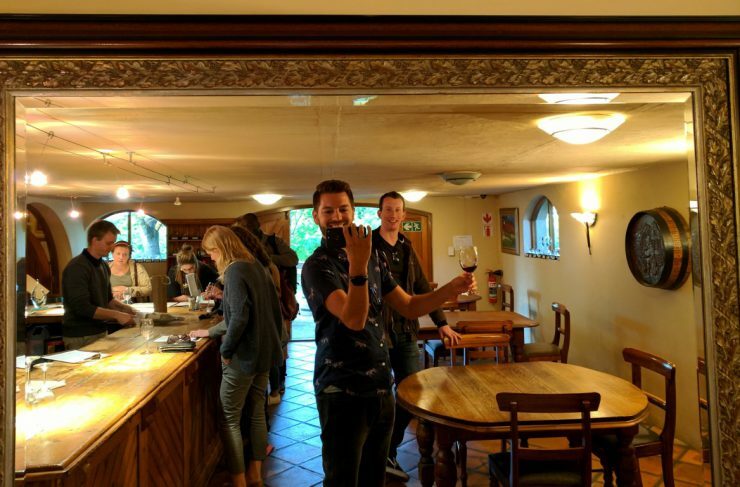 The following day, we ventured out again, but this time for wine tasting in the Stellenbosch region, a notable wine region in South Africa. We started our first tasting of the day on the outdoor patio of Jordan Wine Estate. 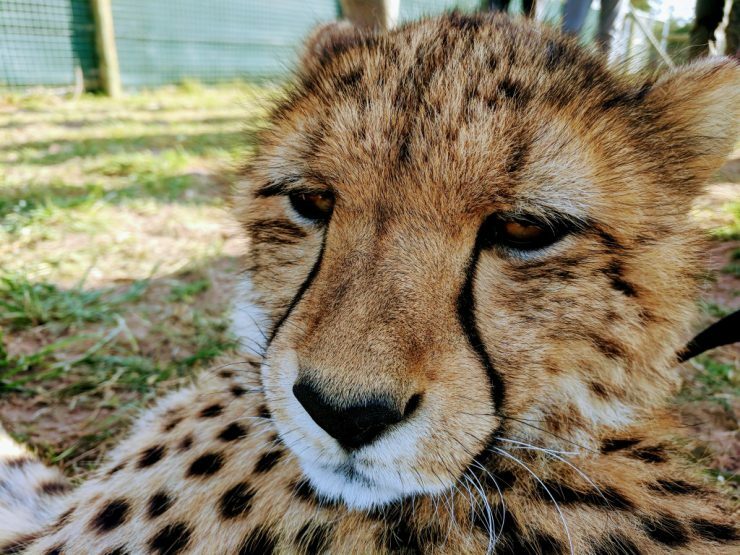 We ordered the cheese platter to pair with different wines, and other people in our group visited the restaurant and bakery on site. My favorite wines were the Chenin Blanc, the Long Fuse Cabernet, and the Prospector Syrah. We ended up buying several bottles! We then stopped at Spier Wine Farm. 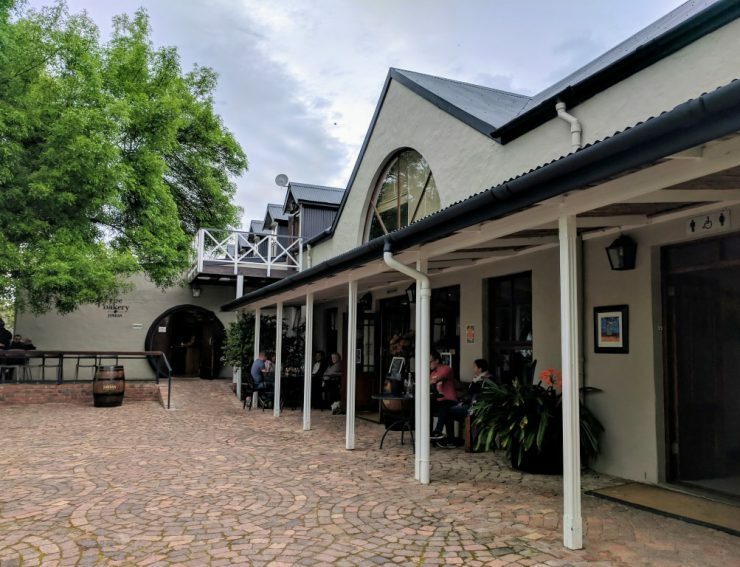 This place has a large property with a multiple restaurants and gardens; the tasting room was packed and they didn’t have any availability, so we just went to the lunch cafe, grabbed some sandwiches, a couple of bottles of wine, and enjoyed lunch on the patio. The one unique thing about Spier is we’ve actually been able to purchase their wine locally here in Washington at Total Wine! South African wine isn’t super popular here, so I was super excited to find some from a place we visited. 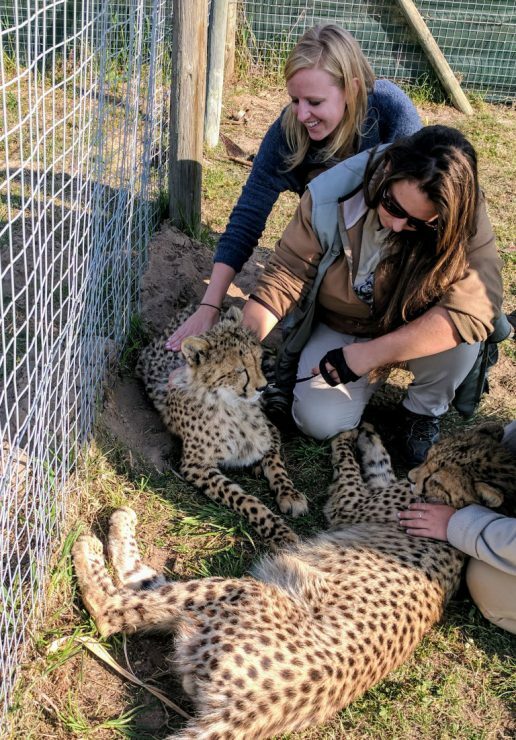 After lunch, we took a detour from wine tasting and stopped at the Cheetah Outreach, where we actually got to meet and pet two baby cheetahs. 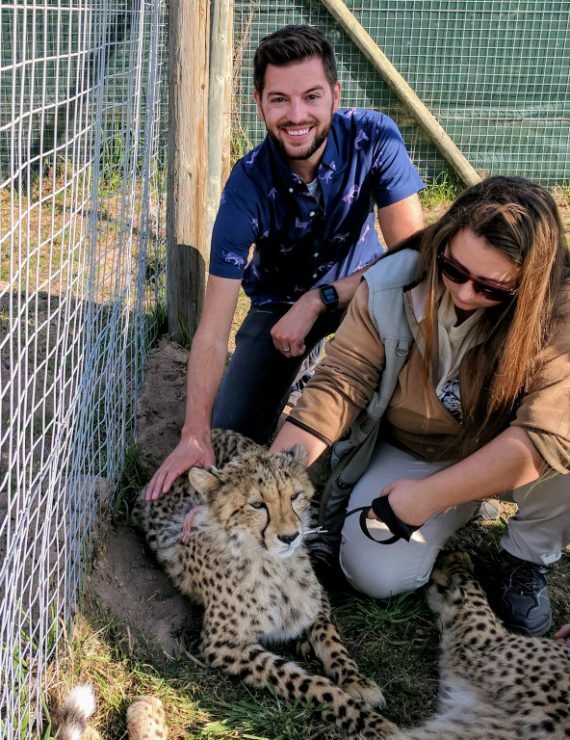 We went into their cages with the cheetah handlers, but I was still super nervous. Their fur was much rougher than I imagined. 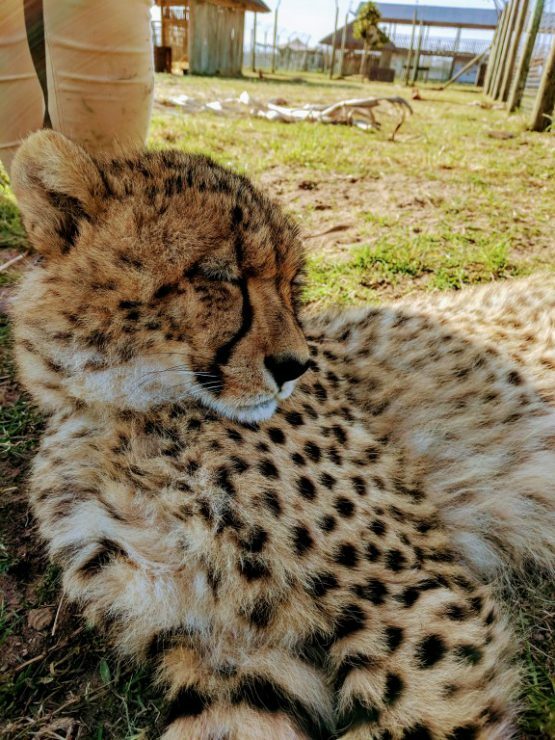 One of the cheetah handlers took some amazing close-ups of the cheetahs with Evan’s phone! Our last stop of the day was at another winery called Kline Zalze. We arrived about an hour before they were closing, but the tasting guide made sure we had a nice experience. We sat outside on the patio and enjoyed their Pinotage, Chenin Blanc, and Cabernet. 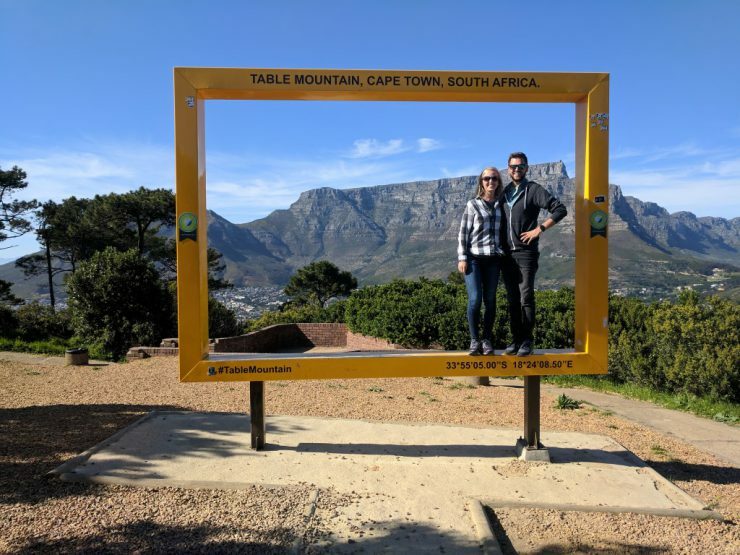 By the end of the day, Evan and I had purchased numerous bottles of wine to take home with us, because obviously you can’t go to the wine region of South Africa without bringing wine home with you. Rest assured, I did some research to figure out how many bottle we were allowed to bring back through customs with us. 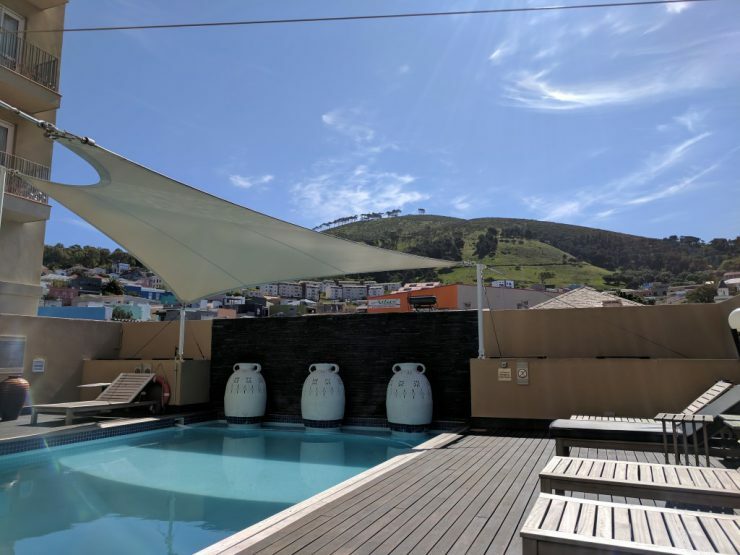 Week two in Cape Town was a little more relaxing for me because I only worked part-time. I spent one day at the hotel reading by the pool and sipping on white wine. 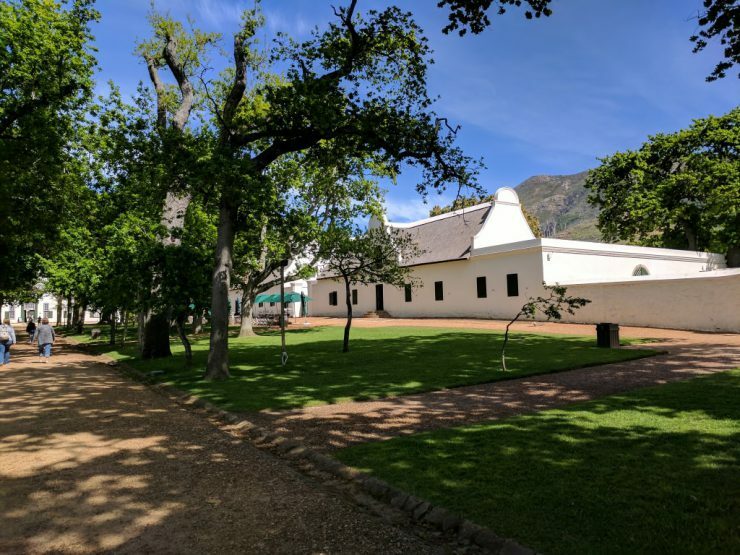 Another day I ventured over to Groot Constantia, a winery that was much closer to Cape Town than the other wineries we previously visited. This winery has a beautiful property, with vineyards, restaurants, and a tasting room. Wine tasting by myself on a week day before noon was a new experience for me. 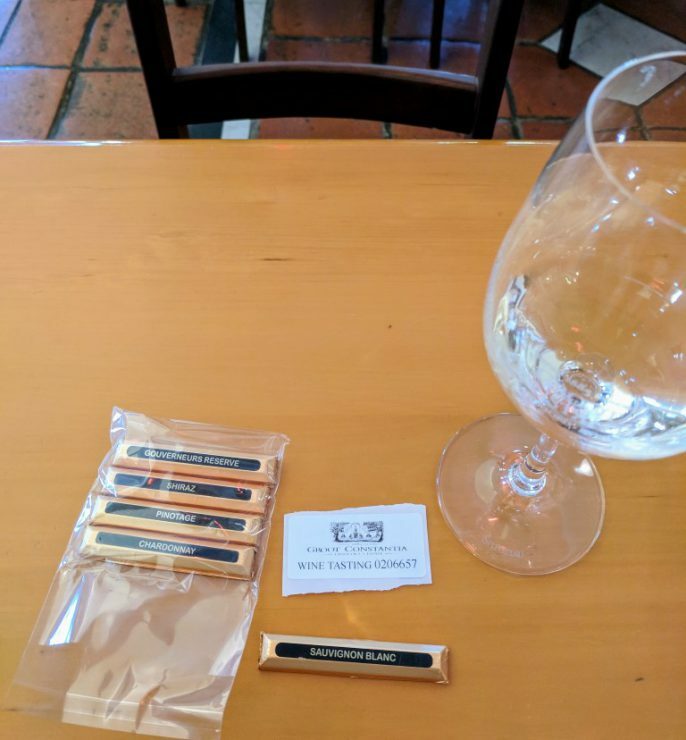 I got talked into doing the chocolate pairing with the wine tasting; despite feeling really awkward by myself, the wine and chocolate were great! Note to self: bring a book with next time I do this. I purchased a few more bottles to add to our collection. 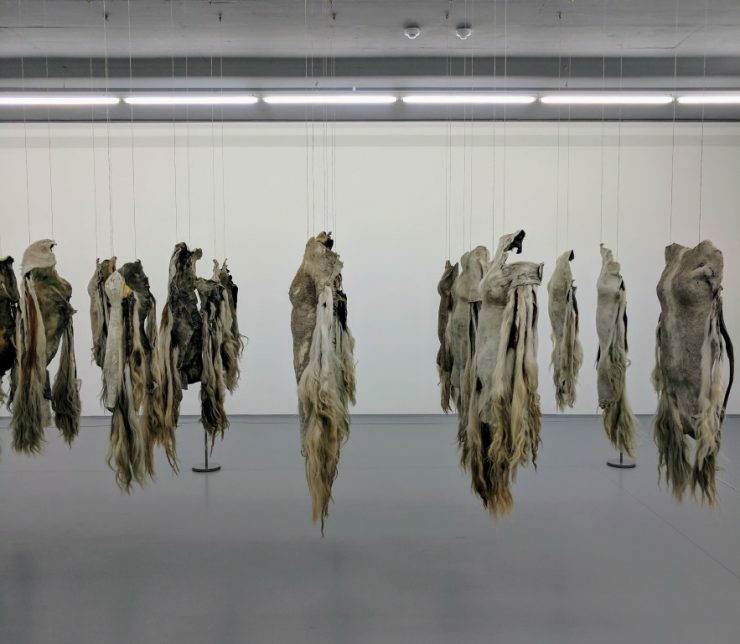 While we were in town, the Zeitz Museum of Contemporary Art Africa had their grand opening. 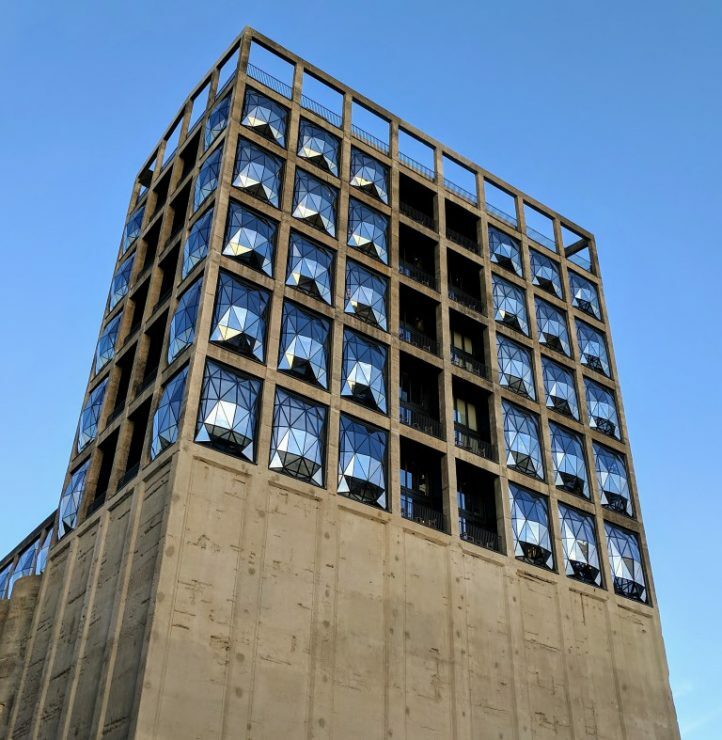 The museum is located at the V&A Waterfront in a renovated grain silo. 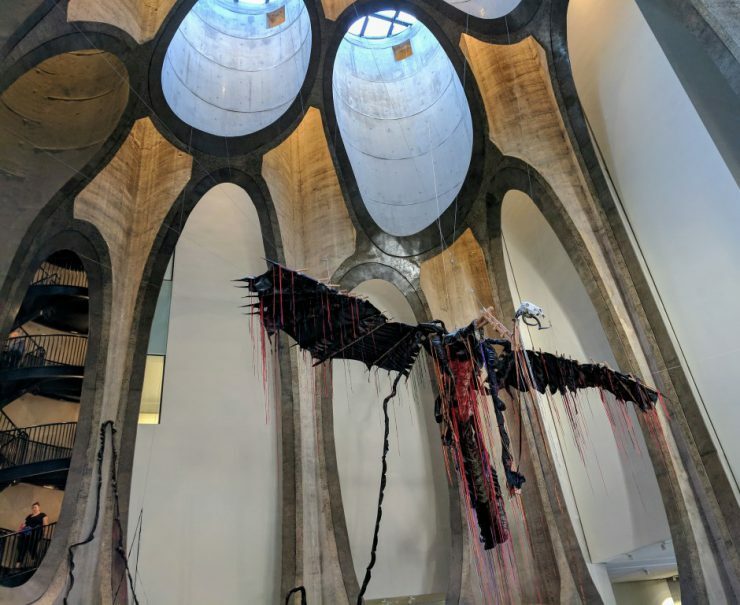 The Arup office in Cape Town worked on the building, and while I was visiting, they attended the ribbon cutting ceremony and hosted a small event to celebrate. I couldn’t pass up the opportunity to visit before we left, so our group went and explored together. 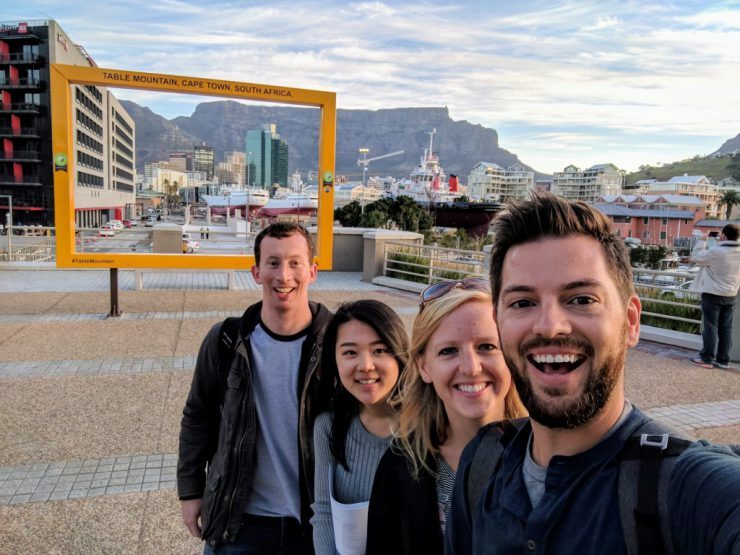 We grabbed a quick group shot with Table Mountain in the background before going inside. This is the renovated silo building where the art museum is located. Isn’t the facade unique?! The engineers where able to cut through and reinforce the existing grain cylinders, before installing elevators in them. I was really fascinated by this; the design must have been really challenging. 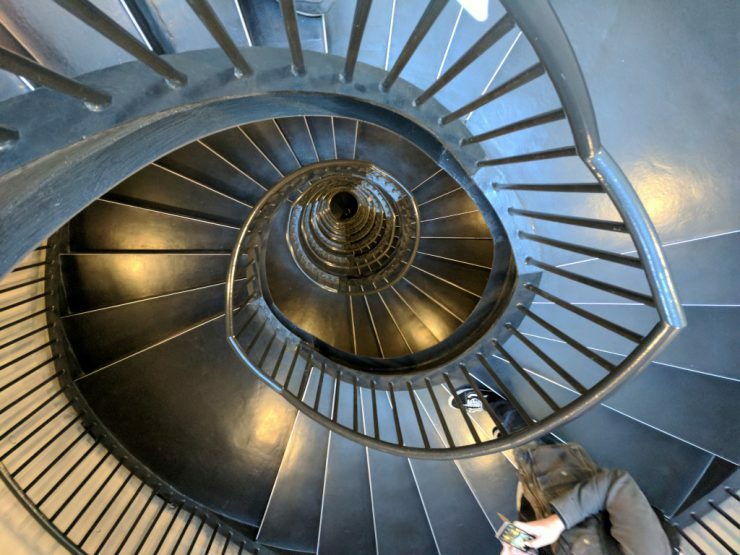 This is the spiral staircase that takes you between all levels of the art exhibit. This photo is from the rooftop; the windows on the far wall are actually the tinted blue windows that you can see from the exterior. The floor is also made up of thick pieces of tinted glass; once I realized it was floor, I was struggling to walk on it! 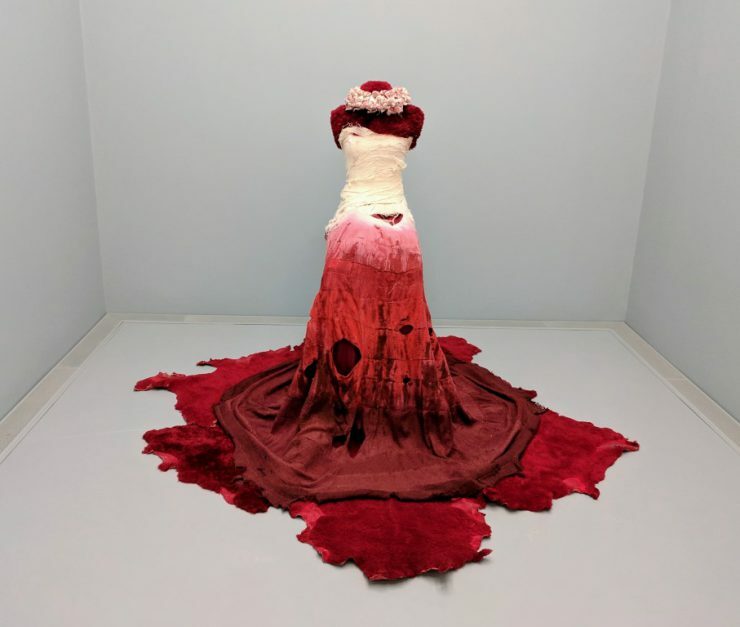 The art within the exhibits was definitely very unique. I don’t think I was able to fully appreciate it, but I found it fun to look at. This was one of Evan’s favorite exhibits. 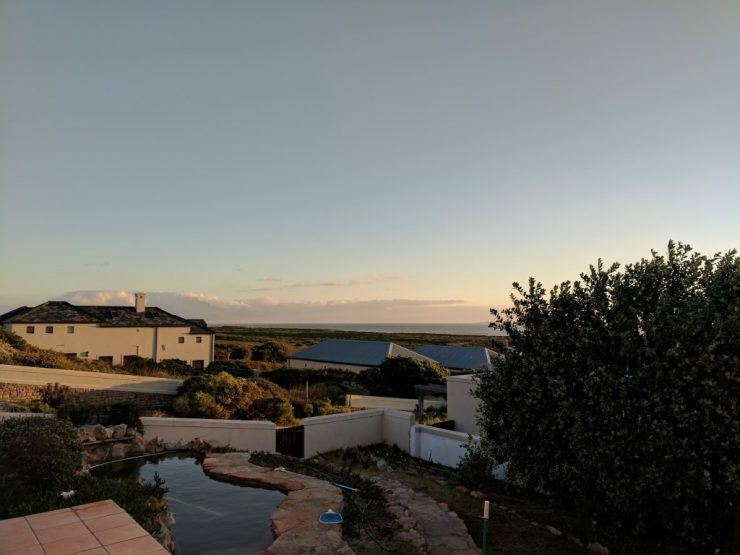 On our final night in Cape Town, we went to one of Evan’s coworker’s house just outside of the city for a traditional South African braai, or barbecue. 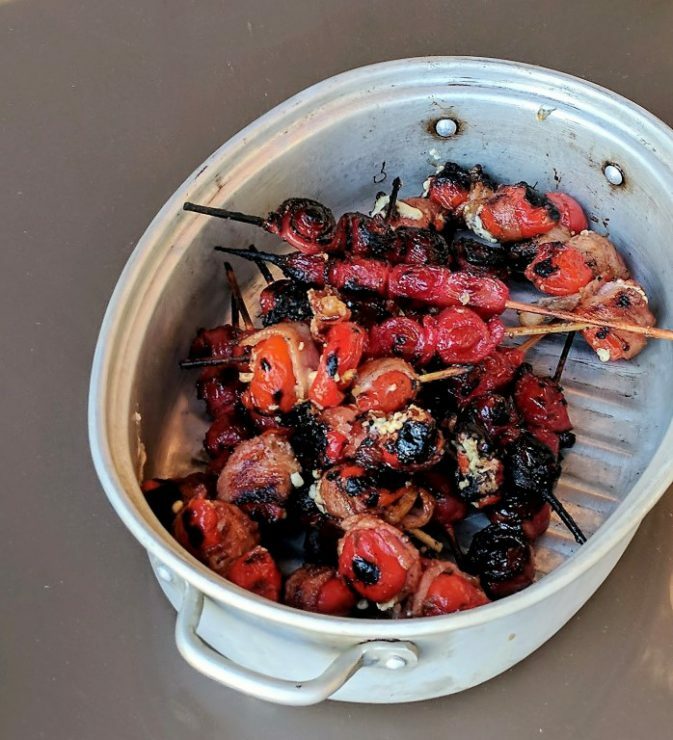 We had some bacon wrapped cherries as an appetizer, before enjoying some grilled meat and traditional South African pap tert, a side dish made with maize meal, tomato sauce, and cheese. It was so tasty! We ended the night with some unique drinks, including a springbokkie, which is a shooter consisting of Amarula (a creamy liqueur similar to Irish cream) and green creme de menthe. We had a great night with his coworkers and really appreciated the opportunity to try some traditional South African food! 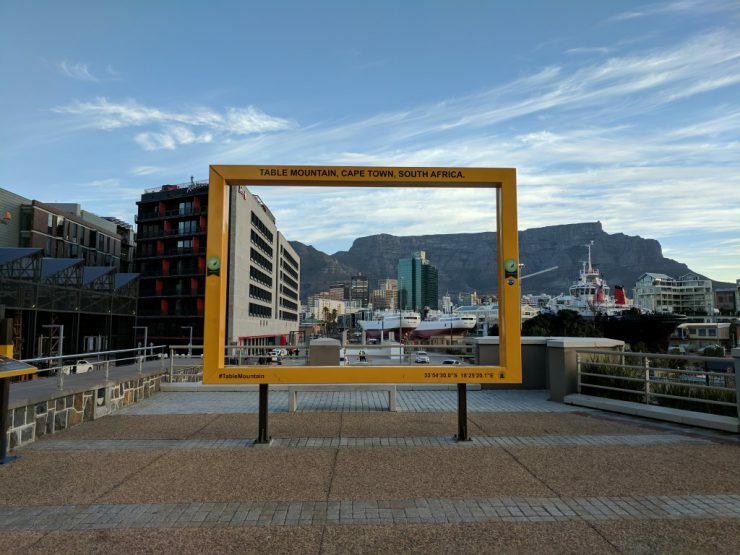 Our flight out the next day was in the evening, so we had one last day to explore Cape Town. 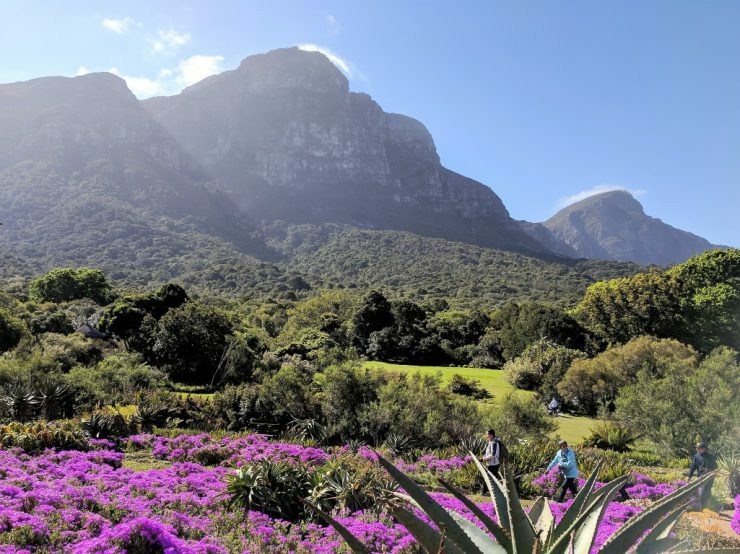 We visited the Kirstenbosch National Botanical Garden, located on the east side of Table Mountain. 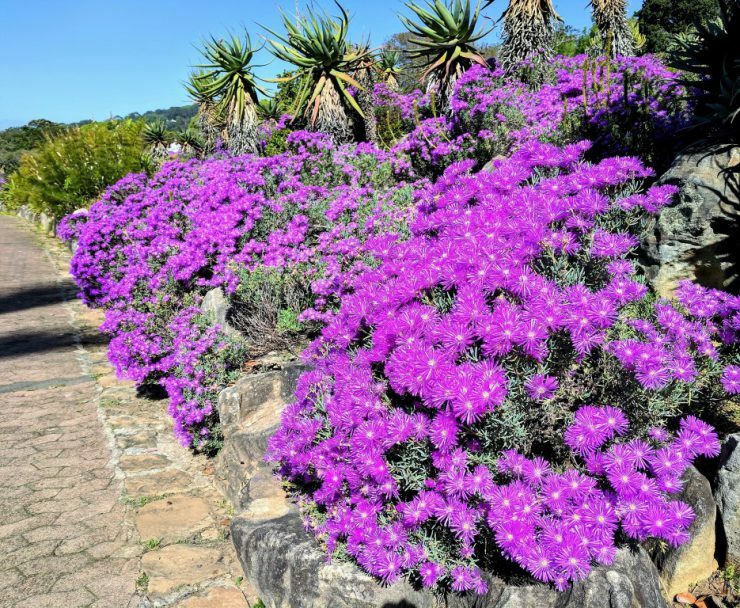 This well-known botanical garden occupies just over 1300 acres of land, and showcases southern African plants, including numerous rare and endangered species. 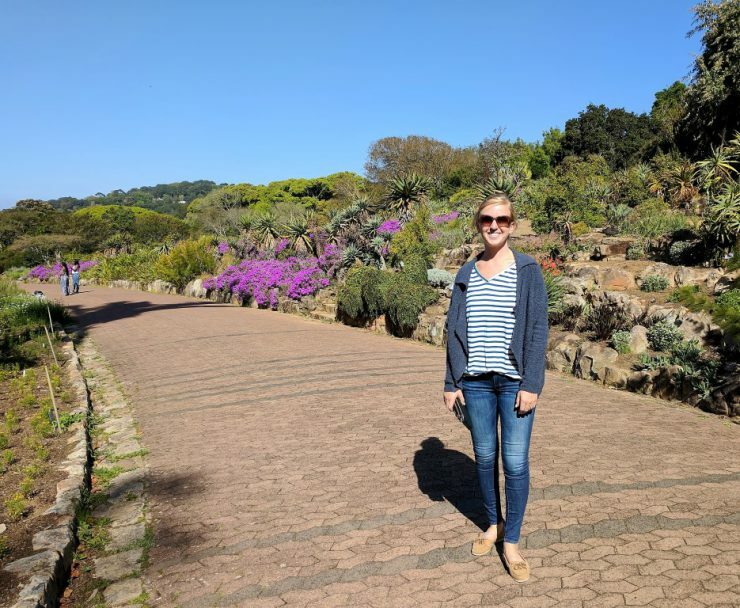 The plants and flowers were really beautiful, and we had a perfect sunny day to walk around and enjoy the garden! We visited the restaurant on site for a quick lunch before heading back to the hotel. We packed up our things and made our way to the airport, beginning our very long journey home. We flew through Amsterdam again on the way home, stopping just long enough to load up on stroopwafels and mini cheeses. 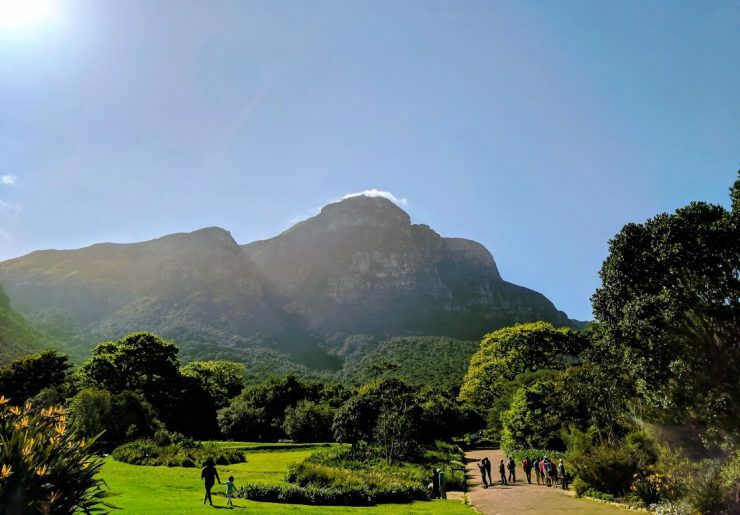 Despite the long flights, traveling to Cape Town was an incredible opportunity and I’d highly recommend visiting. 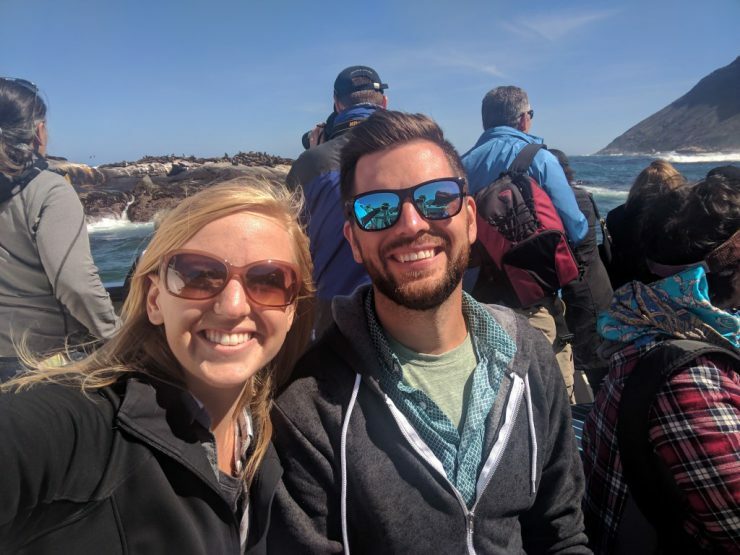 Evan and I are already talking about how we can plan another work trip back there!